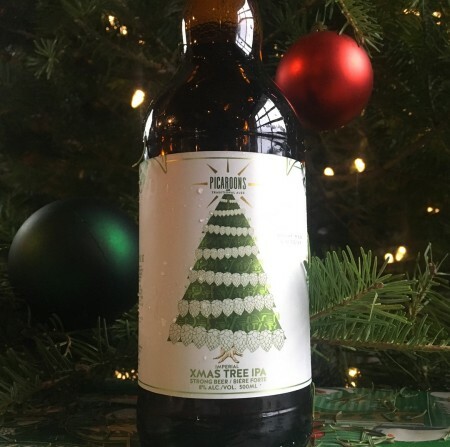 A crazy little elf snuck into the brewhouse a couple of weeks ago and brewed our tenth PIVOT – and hopped it with REAL XMAS TREES!!! That’s right, PIVOT-X has outrageous amounts of real NB spruce tips added to the boil, along with generous amounts Amarillo and Sorachi Ace hops. Pivot #10 is available now at all Picaroons retail and taproom locations in New Brunswick, and select ANBL stores throughout the province.